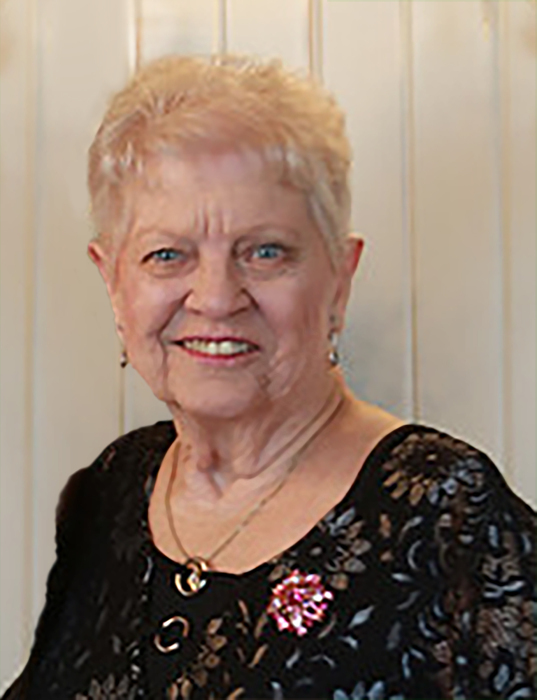 Janet Gayle Paris, 79, of Great Falls passed away peacefully surrounded by her family on Thursday, April 4, 2019 at Peace Hospice. A Memorial Service will be held on Tuesday, April 9 at 1:00 PM at Croxford Funeral Home in The Rose Room Chapel. Janet was born on March 8, 1940 in Hardin, MT to David and Mollie (Ostwald) Haun. She spent her youth in Billings, attending school and everything else that goes along with growing up. While in Billings she met the love of her life, James D. Paris, and the two were married on June 16, 1956. Their marriage was an inspiration to her kids and grandkids for the next 56 years. The couple then moved to Great Falls in the late 1950’s, where they raised a close and loving family. Janet worked as a cosmetologist, in her own salon, Town and Country Beauty Salon, and later at Park Place Nursing Home. She also did a stint as a cashier at the Great Falls Public Schools. Janet loved spending time with her grandchildren, was active in girl scouts as a troop leader, an avid softball player, bowler, and water skier. She also enjoyed playing cards, board games, reading, decorating, and hitting up garage sales. Many weekends were spent camping with family and friends.For many years her and Jim were active in the fellowship at Faith Lutheran Church. She leaves behind sons, Duane Paris of Boise, ID, and Brad (Brooke) Paris of Butte; daughters, Brenda Rivers of Helena, and Darla Miller of Great Falls; grandchildren, Rachel Rivers of Helena, Noah Rivers of Billings, Landon Rivers of Helena, Jazmyn (Cameron) Davis of Boise, and Ben Paris of Denver, CO; great grandchild, Shayn Davis; Nephew Les (Judith) Herman of Boise, and numerous other nieces and nephews; sister in law, Patty Borner of Washington; brothers in law, Dan Paris of Washington, and Jack Paris of Alabama. Janet goes on to join her husband, James Paris; parents, David and Mollie Haun; sister, June Herne; brothers, David Haun Jr., Ronald Haun, and Kenneth Haun; brother in law, Walt Paris. In lieu of flowers the family suggests a donation to Peace Hospice c/o Benefis Health Systems Foundation, P.O Box 7008 Great Falls, MT 59406.